This entry was posted in Feature and tagged 80's horror promotional items, best ebay horror items, best ebay horror promotional, best horror sequels, dirty horror, ebay 80's horror items, ebay find of the week, feature, horror guilty pleasures, house II 1987, house II keychain ebay, house II second story keychain, house II the second story, promotional horror items, worst horror sequels by Dirty Horror. Bookmark the permalink. 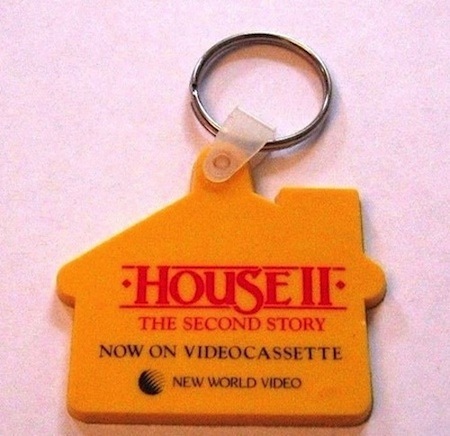 I mean, everyone needs a house 2 keychain.